Finnish industrial punk rock band COLD COLD GROUND released their highly anticipated new single and music video MODEL CITIZEN on 31st of October 2011, on Halloween. The song is the first single from their upcoming second album. 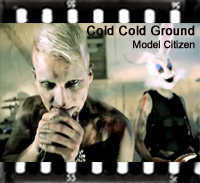 Model Citizen, Cold Cold Ground´s third official music video, can be viewed on here. STALKER.cd and ANTIPIRAT.com are happy to present you our first teamworks result: our new video interview with CRADLE OF FILTH. Dani was in a good mood and our STALKER, Marcel, catechised him with privat and album related questions. Have fun!